The mission of The Level 4 Funding is to provide the investor with the best possible Trust Deed Investment opportunity, providing the investor with a constant return on their investment. Level 4 Funding LLC is a Hard Money Funding Company that funds Real Estate Properties while providing investors with a secured and constant rate of return on their investment’s. We do this by targeting borrowers of a diversity of Real Estate that is highly marketable, has a strong Mortgage-to-value ratio, has sufficient equity, and make Hard Money Mortgages to a borrower who is competent in fulfilling the obligation of the note. Our goal is to provide a short term Hard Money Funding source for Real Estate Investors who are purchasing a foreclosure, bank owned or short sale property and providing a constant high rate of return to our investor. The Level 4 Funding strongly believes in the tremendous value professional real estate investors bring to the marketplace. As residential redevelopment specialists, real estate investors create jobs, beautify neighborhoods, increase tax revenue, and turn neglected, vacant blight into livable homes. For this investors deserve a reasonable profit and should be seen as an important partner and solution in the current real estate downturn. This information was learned over the past 20 years of real estate investment and some items were learned at a high cost. Hopefully you can avoid the mistakes I’ve made and have a successful investment. The guideline provides tips and good advice at to how to go about investing in Deeds of Trusts and earning high yields on well secured first position Mortgages. We have Trust Deed Investments all the time, if you would like to be notified of future Trust Deed Investments please enter your contact information below. Thank Dennis. Remember, it’s your money, you can walk from the deal, and there are plenty of deals out there. Are you absolutely certain that no one needs to ask for a little more cash down payment, and or even some additional real estate equity or additional collateral to adequately secure this particular Deed of Trust? Ask if they have any other assets to use as collateral to the Mortgage. Jet plane? Gold? Diamond? You will be surprised at the answer and sometimes the answer is yes. If they have additional collateral GET IT! How is the borrower going to pay off the Mortgage in 6 months? What is there exit plan to get out of the deal and pay you back? Sometimes the borrower will say that when the home is finished they plan to move in and make it their primary home. Will they do a refinance and pay you off? Can they do this? Ask yourself, can the borrower complete the deal or pay the Mortgage? Really, do they have the income and cash to complete the deal? If the borrower is in the fix/flip business do they have the experience to get the home completed? Are they going to do sweat equity and do it their selves? Do they have the necessary skills to fixup, market and sell the home? Where are they getting their money from? Everyone wants to be in the real estate business of buying and selling homes for profit. It’s on TV, radio and there weekly seminars that will show you how to make big bucks in the real estate market. New investors will go out and buy property and want you to be the investor on the deal. They want you to be their dream cash provider. As the investor you need to make certain that you do not get caught up in the hype of the making money deals and protect your investment. Following are some don’ts. Don’t lend to inexperience individuals. What is experience? Real Estate License, prior flips, contractor license, amount of education (did they graduate from college?). Don’t’ lend unless they have their OWN cash in the deal. If you are lending 60% were is the reaming 40% coming from? If they need to make improvements, where is the cash coming from? Ask to see bank statements. Maybe they are going to borrow the money on a credit card. Don’t lend to them. Don’t lend if you don’t like the property. When you get a bad feeling about this, it’s your Guardian Angel talking to you. Listen to the Angel and don’t do the deal. Don’t lend to bad people? What are bad people? The best indication of the quality of the borrower is found in the credit report. Get one and read it. But what is bad? Look at the report and see what is causing the low score. A foreclosure on the record can be scary, but the borrower, maybe starting to improve. When you are looking at the investment, more weight is placed on the Mortgage to value and condition of the property. And with a good LTV ratio you should be adequately protected, but you need to go beyond the credit report. Try to evaluate the ‘moral fiber’ of the borrower. A foreclosure is bad, but are there other items on the report? Did they try to resolve the credit issue or did they ‘skip and run’? Who did they burn? A foreclosure or short sale are common but skipping out on credit cards not paying Pizza Hut for a bad check, or not paying a $25 phone bill, is an indication of someone who really does not care and won’t care about you. Don’t lend to low ‘moral fiber’ people. Don’t lend to relatives or friends. Don’t do it. Don’t lend unless you certain that the combined total of all real estate Mortgage proceeds plus any other financing or and other money being released to the buyer in this transaction does not exceed what you would be willing to pay for that property EXACTLY AS IT SITS TODAY?? What will your equity position be if no improvements are ever made to the property? Remember it’s our money you are lending, and you always have to consider the worst case scenario from the borrower. You must be prepared to foreclose and take the assets back to protect your investment. You need sufficient cash reserves to complete the foreclosure and resell the property. You need to consider the following points if you are the lender of a Deed of Trust. Is the Deed of Trust that you are considering being brokered by an experienced, licensed and reputable investment broker?2. What type of protections is being offered for our investment? As a condition of funding this Mortgage are you receiving the maximum title insurance available to you? You will need a title policy from the title company for the Mortgage. This is called an ALTA Lender Title Policy. It’s an insurance policy provide by the title company insuring that the title is as stated and that there are no other liens or attachment to the property. It looks for defects in the title such as mechanics liens and other items. You need to read this document. Take time to read and familiarize yourself with each item contained in the pre-lim (preliminary title report) issued by the title co. on each property shortly after escrow is opened. Even though the Mortgage is very well secured and the thought of taking back a $200K home for $100K might even appeal to you many investors like to read the pre-lim to become familiar with the properties easements, assessments, mineral rights, assessed valuation and so on which is all right there in black and white in the preliminary title report. You need to see the homeowner’s policy insurance, covering fire, damage and liabilities. Make sure that you are the additional insured on the title policy. BUT there is one thing that you must really look at when you examine the policy that is most standard insurance policies only cover the property for 30 days if the property goes vacant. If the borrower is in the process of fixing and repairing and the home will be vacant for more than 30 days, the policy will not cover any loss after day 30. Make sure that the policy covers the property when the property is vacant. Require the purchase and pre payment of 12 months fire insurance premium paid in full in escrow. Coverage could be cancelled if you allow the borrower to write a check for it outside escrow and his check bounces! Also, always obtain the maximum title insurance coverage update available any time you rewrite, extend, alter, modify or make any change to any note and Deed of Trust. Always make all your investment funding checks payable directly to the title company handling the escrow. The smallereach of your individual Deed of Trust investment increments are the higher the degree of diversification you will have! This can be especially important to investors relying on the monthly income from payments. Are you certain that this Deed of Trust total required investment will NOT exceed more than 10 or 20% of your total over all Deeds of Trust investment portfolio? Are you confident that you have committed to the shortest possible Mortgage term? Deeds of trust terms vary from 6 months to up to 30 years. Are you comfortable of holding on to the investment for the term of the Deed of Trust? If you have to sell and get out, you may have a hard time finding a buyer and possibly selling at a loss. Make sure that you are comfortable with the term of the Deed of Trust. Investors who wanted to fund a Mortgage for 10-15 even 20 years and under certain circumstances you may find your note quite expensive to liquidate if an emergency were to arise. Most of our investors have found funding Mortgages for 1-2 or 3 years seems to work best. Become familiar with the steps necessary to tell the servicing company to file notice of default should the occasional borrower become delinquent in his payments. It doesn’t happen very often. Occasionally borrowers will file a bankruptcy to stall for additional time. Learn the process of foreclosure. Never make any Mortgage extensions, additional advances, modifications or other changes of any kind no matter how small to an existing real estate Mortgage without first obtaining written approval from any junior lien holders of record. Change the terms of your note can move you to second position, a bad place to be if you were in 1st position. Can you ALWAYS be reached by mail at the address of record listed on the recorded documents? Can you always be reached the quickest at the address used? If the servicing company needs to contact you don’t be out of town and unavailable. The home maybe on fire! You must take a look at the property you are considering investing in for any adverse conditions that might affect the property and that might not be of record or that can’t be revealed with a physical inspection? Ask the neighbors. Even though the broker will give you a statement of value, It’s always a good idea to always physically inspect the real estate your about to lend money. Check the property out yourself. Maybe you will see the 500,000 KV power line in the back yard, the new high speed rail line being installed or the junk yard next door. If you are not comfortable with the property tell the broker you will pass on this great opportunity but would like to see any more in the future. Never take the value opinion of the borrower (they don’t tell the truth). Don’t use personal property as additional value on the real estate. Learn to distinguish between real and personal property. Is that $10,000 hot tub coming with the home? Then why are the wheels on it? Avoid making small Mortgages less than $50,000. Never lend more than 70% LTV (Mortgage To Value Ratio) on even the most prime of owner occupied homes, and not more than 60% LTV on non owner occupied speck’ homes. 60% LTV means that your Mortgage should never exceed approximately 60% of an owner occupied property’s appraised value. Is the Deed of Trust secured by raw land income or “commercial” real estate are you certain that your Mortgage does not exceed a 35% LTV on raw land and never more than 40 to 50% on the best of commercial real estate. Unimproved raw land has no improvements to generate rental income so if you were to fund a second Mortgage on raw land and subsequently had to foreclose you would have to come out of pocket with additional funds to cure the senior Mortgage or lose your investment. Never fund a second Deeds of Trust on raw land. Never fund second Deeds of Trust on raw land. What is value? It is the value of the property? The value of the property is its current value as it stands NOW. Don’t be sold on future improved value. Only lend on what is not what will. Borrowers will say for example that when the home is completed the value is $500,000 based on a LTV ratio of 60% so you can lend $300,000. However as the home stands today, its current value is $100,000. Don’t lend on future value. Never lend on a promise to do something. proper draws for the work to be completed have been set up. Do I want or need any last minute additional documentation prior to close? (such as but not limited to the following); final permit card signed off, certificate of occupancy, notice of completion, well report, code compliance inspection, final recording of lot split, copy of any existing lease rental agreement, proof of purchase price, any closing statements, copy of any additional existing appraisals, other inspections, toxic reports, roof reports, termite inspection that may have already been made. Are you sure that you and or your trusted representatives have not overlooked or forgotten to include any important clauses? (Acceleration or due on sale, late charge, timber clause, partial reconveyance, prepayment penalty, and many more). What about Mortgage servicing? Also, on fractionalizes investments who will hold the original note and Deed of Trust? Your broker can’t. What about a second Deed of Trust? Not recommended unless you are very experienced. The basic problem with second Mortgages is that there is a Mortgage in first position ahead of you. This means that for you to protect your investment, you have to worry about the Mortgage ahead of you. For example, if the first Mortgage goes into default and they are taking action to take back the home and they are successful, you second position is wiped out. Gone for good! In the second position you have to make the first position happy and protect your position. You need to in legal terms ‘make the first position whole’. How do you do this? You pay off the first position with YOUR money. Once you do this first position is gone and you are now in first position. First never over look the value of professionals such as Attorneys, Real Estate Brokers, Accountants and Home Inspectors. When in doubt seek the advice of competent professional (I do). Second, don’t do the deal if you are uncomfortable. If someone is pressuring you to do the deal and do it NOW they are hiding something from you. It’s your money, walk from the deal. Third, keep emotions out of the deal. Stick to the facts and terms, don’t let the emotional cry’s of others effect your judgment. Remember, it’s their problem not yours and don’t let them cry on your shoulder. Level 4 Funding offers high yielding ranges between 9.0% – 12.0% on 1st deeds of trust secured against Arizona residential and/or commercial real estate to qualified borrowers in Arizona. The investment goal to Deeds of Trust investments is a low Mortgage to value ratio based on an accurate appraisal. We perform a thorough due diligence on every transaction to verify the Mortgage’s security. All of this information will be provided to you, the investor. Level 4 Funding offers to investors Whole Mortgage Investments. We don’t fractionalize or pool investor’s money. Each investor is assigned the deed of trust and become the owners of the Mortgage. The investor controls the Mortgage. In most cases the Mortgage being offered is already funded and past the closing date. 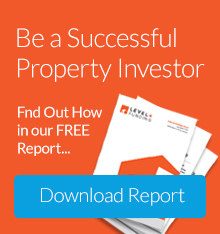 Level 4 Funding uses their own funds to fund the property and offers these Mortgages to the investor. One thing that differentiates us from many of our competitors is that the Investor will be buying a Mortgage that has already funded, closed and been recorded with the county recorder. Many of our competitors will have Investors put up the funds for a Mortgage in process and cannot fund the Mortgage without that investment. The advantage of buying a closed Mortgage is that the Investor will be able to view the complete Mortgage package as well as the recorded deed. Also, the Mortgages listed for sale are seasoned, with some initial monthly payments paid. Investor become the lender of record Documents. We assigning the Mortgage to the investor and the Investor’s name is recorded as the beneficiary. Investor purchases the Mortgage at face value. Duration of the investment is the Mortgage term of one year (average Mortgage payoff period is currently 6 – 8 months). Review the list of Deeds of Trust available and decide which ones will suit your investment needs. Request an investor package on the specific Deeds of Trust. You would need to sign a copy of our Confidentiality and Non-Disclosure Agreement (available in forms). Once it is signed we will send you the following: Mortgage summary, Borrower’s Mortgage application, Credit report, Appraisal, Title Policy showing the recorded Deeds of Trust, Escrow instructions, Copt of the Deeds of Trust, Copy of the Promissory Note, Mortgage Servicing Agreement. You would then review the investor package and perform your due diligence. Once you have selected a Deeds of Trust for purchase, notify us and we will send you the required transfer forms. You then return the signed transfer forms with your funds. At that point, the interest begins to accrue for your Mortgage. Our Mortgages are serviced by an independent Mortgage servicing company, Setabay Mortgage Servicing, and they will continue to service the Mortgage unless you specifically request the servicing be transferred to another servicer of your choice. You will begin receiving monthly payments for the remaining term of the Mortgage. Types of Entities that can invest: Individuals, Self-Directed IRAs, Family Trusts, Corporations, Limited Partnership, General Partnership, Institutional Lenders, Mortgage Partnership Pools. Investors are strongly advised to use the services of a reputable Mortgage Servicing Company to handle the collection of payments from borrowers, disbursing payments to lenders or note holders, mailing appropriate notices, maintaining adequate insurance coverage, monitoring the status of senior liens (if any), handling demands for payoffs and coordinating foreclosure proceedings. The benefit to the investor to use an independent third party servicing agent is that it creates an extra level of security for the investment. When a Mortgage is purchased from Level 4 Funding, one of the documents provided will be a servicing agreement which will outline the duties to be performed by the servicer. Level 4 Funding currently utilizes Setabay Mortgage Servicing to handle all of our servicing needs. Setabay is an independent third party and has no affiliation to Level 4 Funding. They have an excellent track record since their founding in 2008 and are located in Santa Fe New Mexico. Their website contains a wealth of information on all facets of Mortgage servicing as well as their fees. You can view their information at www.Setabay.com. On a monthly basis, The third party servicing agent Setabay Mortgage Servicing collects the payments from the borrower and sends a check to you, the Deeds of Trust investor. This will continue to occur until the Mortgage is paid off. The Setabay also offers direct deposit. For more detailed information on the process and the paper work, please call the office at 623-582-4444 and request a free copy of our book and DVD, Arizona Deeds of Trust Investing. Deed of Trust Investing Frequently Asked Questions for Investing in Trust Deed. What is a Deed of Trust investor? This is a person who invests in deeds of trusts which usually provides a very competitive rate of return on their investment above what a traditional bank would pay. Basically you are lending to a borrower who gives a collator or security real estate. Your investment is back not by FDIC but by the actual real estate. The source of this money can be from savings, credit lines, or retirement accounts. The broker finds the borrower who wants the Mortgage, and the private party with the money provides the funding. The broker then arranges for the borrower to sign paperwork to show the world the agreement to borrow money and the terms. Why do borrowers turn to Level 4 Funding? Many residential and commercial real estate investors cannot obtain financing from traditional lenders due to strict underwriting guidelines. Level 4 Funding recognizes this issue and provides a solution by offering an alternative source of financing. What makes Level 4 Funding a better place to invest my funds? We take that responsibility very seriously when investor are buying a whole Mortgage that is closed and recorded. All the Mortgages currently offered are been funded from funds from our own LLC and then closed. We do our own due diligence on every Mortgage so that we determine it is of such quality that if a Mortgage is never sold, we are prepared to hold it in our own portfolio as a long term investment. Many of the Mortgages currently offered are seasoned Mortgages, meaning that payments have been received and there is a track record on the borrower. Many of our competitors are selling Mortgages that are ready to fund, but are waiting on an investor to put up the funds so the Mortgage can close. We feel that our method of funding the Mortgage first with our own funds and then putting it up for sale to investors is a better system and makes for a safer and more attractive investment for our customers. At Level 4 Funding, we want our investor’s experience to be a positive one. Good word of mouth from our customers always leads to more business in the future. Level 4 Funding is actively seeking investors looking to diversify into high yield Deeds of Trust investments. To get started, contact us at (888)) to schedule an appointment with our team to learn more about the Deeds of Trust investments we currently have available. Is there an available guarantee for my investment? There is not a guarantee similar to having FDIC insurance on your deposits in the bank, but look at what those deposits are yielding today. If you open a 2 year CD today with a $100,000 deposit you will do well to get 1.25%. A Deeds of Trust has some element of risk but a yield in the 9% to 12% range compensates greatly for it. The protective equity in the property is your shield against taking a loss. If your Mortgage is 65% of today’s value, the risk of the borrower defaulting and you eventually taking a loss is relatively small. In the case where the borrower runs into difficulty, it’s in the borrower’s best interest to sell the property and recover his equity rather than let it go into foreclosure and lose his equity. What is the Deeds of Trust investment process? Level 4 Funding funds residential and commercial real estate Mortgages with capital invested by private individuals, corporations, pension plans, and retirement programs (Self Directed IRAs and Keoghs). Each Mortgage is secured by a Deeds of Trust on a real estate asset. The Mortgages are conservatively underwritten and typically do not exceed 60% of the property value. Investors are encouraged to review each investment opportunity closely prior to investing. Who should be investing in Deeds of Trust? Any savvy investor looking to diversify their investment portfolio can benefit from investing in Deeds of Trust. Ideally, the investor should have a good understanding of real estate and lending or rely on a trusted advisor to guide them. Deeds of Trust investments are not guaranteed like a bank Certificate of Deposit backed by FDIC insurance. Therefore the buyer of a Deeds of Trust needs to do their own due diligence when purchasing a Deeds of Trust. Of primary importance is the current value of the property secured by the Deeds of Trust. Each Mortgage package will have an appraisal giving the value for the subject property. Buyers should review the appraisal to be sure they agree with the value and take steps to verify its accuracy. What makes a Deeds of Trust a good investment? A Deeds of Trust investment can offer a steady income stream to an investor looking for a high rate of return. With the protective equity position the Deeds of Trust offer, the risk to the investor is very low. Deeds of Trust are very simple to understand investments. Most investors will have had some experience being a borrower on a home Mortgage. By owning a Deeds of Trust, you are taking the place of the bank or lender. The elements of risk are easy to understand. With a good equity position, borrowers who are in trouble will usually sell the property and pay off the Mortgage rather than letting it go to foreclosure and risk losing their equity. There is no minimum investment. We only sell funded Mortgages and do not ‘pool’ investors money, the minimum investment would be our smallest available Mortgage. Also, you can purchase a fractional ownership in a Mortgage. A fractional ownership can be in 25%, 50% or 75% increments. What is a Deeds of Trust investment? When purchasing a Deeds of Trust, you’re essentially buying the ownership of a Mortgage that is secured against real estate. Who can purchase Deeds of Trust? Purchasers of Deeds of Trust investments can be individuals, whether directly or through their retirement funds, family trusts, investment pools and corporations. What is a fractional interest in a Deeds of Trust? An investment in a single Deeds of Trust can be divided among several owners. For instance, a $400,000 note might have three buyers, one investing $200,000 and two other individuals investing $100,000 each. The Mortgage servicer would then divide the monthly payments with 50% going to one investor and 25% going to each of the smaller investors. This can be a good way to invest in a quality Mortgage even if you don’t have the available funds to purchase the entire Mortgage. Generally, the somewhat larger Mortgage amounts lend themselves to being fractionalized. Can I invest my retirement funds? Yes. Real estate Mortgages are an acceptable use for IRA’s , 401-K’s, Keogh’s and other retirement plans. By opening a Self-Directed IRA account, you can put your funds to work in a number of real estate related ways. As always, you should consult with your Attorney or Tax Advisor before making this type of investment. There are many companies that specialize in setting up these kinds of accounts. Please inquiry with our company for a list of companies that you can research. How long is my money invested? Your investment timeframe will be dependent on the specific Mortgage you purchase. The Mortgage terms in our portfolio generally range from 6 months – 3 years. How much money do I need to start? What is the minimum investment? The Level 4 Funding is actively seeking private money sources with at least $50,000 to start. Can I use IRA funds? Yes. The Level 4 Funding actively places funds from IRAs, Self Directed IRAs, and Roth IRAs. However, please contact your plan representative as all IRAs have different rules and regulations. What’s your typical property you Mortgage on? The Level 4 Funding only lends on vacant, non-owner occupied homes in Arizona. We mainly focus on single family homes and units (1-4 only). Annualized yield varies from 9%-12%. Do you pool my money with other investors? Not typically unless immediate family members get together to invest. The Level 4 Funding tries to have only one trustee per investment. We do not pool private money to fund these residential properties (also called fractionalized Mortgages). This offers more security and control for the Deeds of Trust investor. How does Level 4 Funding Make money? We usually charge a fee for processing the Mortgage and points to create the Mortgage. In some cases we share in the interest paid on the Mortgage. Typically the payments on the Mortgage are not amortized. The Mortgages are interest only payments with the principal balance being unchanged. Normally a Mortgage consists of Principal and Interest as part of the payment. The Mortgages that Level 4 Funding develops are interest only Mortgages. The payment from the borrower is only the interest part of the Mortgage with no reduction in the balance due. Once I’ve committed to be a private lender, what should I expect? Please see our process HERE. Every investment has risk. However, unlike many other investments, Deeds of Trust investing is unique in that a private lender owns a first Deeds of Trust on a piece of real estate. You own the controlling interest in the property and if the borrower fails you take back the property and resell to get your investment and interest back. How much do you Mortgage? The Level 4 Funding has brokered Mortgages from $50,000 to over $1,000,000. What is your Mortgage to value that you Mortgage on? The Level 4 Funding Mortgages up to 60% of the after repaired value of the home for our long-term Mortgage program. Do you offer 2nd and 3rd Deeds of Trust? No. The Level 4 Funding only offers first Deeds of Trust on all of our investments. Points are the fees The Level 4 Funding collects for acting as broker in a hard money Mortgage transaction. Why don’t I skip you completely and work with an investor directly? This is a great question and yes you can! You can avoid the broker and find your own investors and mange the Mortgage yourself. But unless you are an experience real estate expert you could end up with a Deed of Trust on property were you are not property protected. You need to understand the rules and the ins and outs of the real estate market. It’s easy to think that avoiding a broker can save money. In the case of lending money, it’s a little more complicated and very important to understand the rules and regulations. Who handles the Mortgage servicing? We have developed a long relationship with Setabay Mortgage Servicing LLC. Mortgage servicing includes the back-office tasks of collecting payments from borrowers, disbursing payments to the investor, mailing required notices and statements, yearend tax documents for the IRS and franchise tax board, maintaining adequate borrower insurance coverage, and coordinating foreclosure proceedings if necessary. Who in my network might be able to advise me on these types of investments outside of the Level 4 Funding? Having an excellent team is always important and we suggest you check with your tax advisor, financial or retirement planner, accountant, and/or your attorney. Who can invest in Deeds of Trust? Private individuals, corporations, pension plans, 401Ks, custodianships, LLCs, retirement funds, IRAs, Roth IRAs, Self-Directed IRAs, and SEP accounts. Some retirement amounts have limits so please check with your custodian or agent. Yes. Not only do we require fire insurance but we require the investor to inform the insurance company that the property is vacant. We require coverage in the amount of the Mortgage or replacement guarantee. Will I be given a complete profile on the property? By the time we present the property for funding, we’ve already had an independent appraisal done on the property. We’ll send to you a copy of that appraisal along with the address for you to view the property. Much work goes into qualifying the property and the borrower before the investment is ever presented. That’s the benefit of using a broker! Don’t know what to do? Confused? Is this Legal? Give us a call does discuss the process. But never over look the value of professionals such as Attorneys, Real Estate Brokers, Accountants and Home Inspectors. When in doubt seek the advice of competent professional (we do). Equity – our long-term Mortgage program is brokered at 60% of the after repaired value (ARV or LTV) where the goal is to have a fixed and rented home that more than covers the monthly payment..
Non-Owner Occupied Properties Only – The Level 4 Funding only brokers Mortgages for non-owner occupied, single family homes and units (1-4) to a very unique client, the professional Arizona real estate investor. Appraisal – An estimated value placed on a property at a particular point in time. Also known as appraised value. Beneficiary – The beneficiary is the lender that can be an individual or a legal entity. Also known in a Deeds of Trust investment as a private money lender. Deed of Trust – A document signed by the borrower that, once recorded, acts as proof that a Mortgage has been made on a property. First Deeds of Trust – The first in line of Deeds of Trust recorded on a property. Hard Money Mortgages – given at a higher interest to reflect perceived risk and added convenience of speed. Interest Only – No payments being made on a Mortgage are being applied to principal. The balance due stays the same. Simple Interest – Its calculated using the following: (Balance Amount * Interest Rate) divided by 12. This gives you the monthly payment for interest only payments. Mortgage to Value (LTV) – Is a ration is used to determine risk and equity position in a property. If the property us currently valued as it stands now at $100,0000 a Mortgage of $70,000 gives a LTV of 70% ($70,000 divided by $100,000). This should not be confused with ARV – After Repair Value. Points – A percentage fee charged for origination of a Mortgage. One point is equal to one percent. Promissory Note – The Promissory Note is signed by the borrower and shows the terms of the Mortgage. Trustee – An individual or organization authorized to hold a trustee sale. Trustor – The trustor is the borrower. REO – Stands for Real Estate Owned or a property that has been taken back by the bank if not sold to third party at the trustee sale. Usury – Usury laws limit the amount an individual can charge for lending money without using a broker. In Arizona there are no Usury laws and you can charge what you want. Everyone wants to make money on their investments. Investing in Deeds of Trust generates a higher yield than the typical bank or savings account. Each Deed of trust is back by the collateral of real estate at a very favorable Mortgage to value ratio typically 70% or less. Most investors feel secure and confident in this type of investment since they are real-estate based. Investors achieve a high return on investment and generate 9 to 13% annually. Investors who are interested in deeds of trust can start investing as little as $50,000. Many investors, who are eagerly seeking returns, paying more than the banks CDs of 1-2%, turn to deeds of trust. Unlike investments in the stock market or a mutual fund, with Deeds of Trust investing, you will know how much you are getting month after month. The payments are deposited directly into your bank account, or sent to you monthly by check. This is not a get rich quick scheme, but it works similarly to a CD in that your money will be invested for a fixed term, such as 6 or 24 months, and at the end of term you get your principal back. A high yield Deed of Trust investment is perfect for private individuals, non-profits, cooperates, pension plans, retirement funds, 401Ks, IRAs, and SEP accounts. Today, professional real estate investors are securing properties at foreclosure bargained prices, and then resells the property for profit. In most cases, returns are favorable, offering positive yield with relatively low risks. When, comparing other options, with similar risk profiles, the threat of losing money in Deed of Trust investing is marginal. In the event of a borrower default and there is a foreclosure, Deeds of Trust investing is protected by real estate. The investor would assume the title to the property of the residential property and the investor sells the property to recoup investment. The investor becomes the lien holder, and the investment is secured by the property itself. Real Estate investors purchase Arizona real estate at wholesale prices, through foreclosures, short sales, builder closeouts, and REO’s, and then rehabbing and placing them back on the market to sell. Deed of Trust borrower is a real estate professional seeking to acquire an income property rather than becoming an owner occupant of a property. Deeds of Trust typically yield a much higher rate of return to the investor. Mortgage terms are usually 6-12 months. The Mortgages are negotiated by a mortgage broker as the interface between the investors who want to lend money and the borrower who is seeking funds for their projects. Much of the success of the rehabbing industry in Arizona is that brokers are experienced with this type Deeds of Trust investment. The Deed of Trust investor relies on the broker in their decision and that their risk assessment is accurate. This includes screening the potential borrower, along with managing all the documentation involved in the transition. High yield Deeds of Trust investments gives you access a wide array of benefits and opportunities. In 2004 I began purchasing homes at foreclosures and rehabbing them for sale. This was fun and very profitable experience. However it was a lot of work fixing the property and getting it ready to resell for a profit. You can imagine that everything that could go wrong did go wrong for me. There was always something to fix, inspect, sign and sell. I would purchase the home at the steps of the county court house, $10,000 down and had to have the remainder of the funds by 5PM the next day or you lose your $10,000 deposit. Also, you had very little time to look at the property and in some cases I purchased the home without ever seen the home. (Very scary). On each purchase I used money from private hard money lenders in the area. The lender provided 60% of the funds and I came to the table with the remainder of 40%. They knew the procedure and would fund the property within 24 hours and by the next day after the foreclosure sale I owned the property. Now the work began. It was a race to get the home ready and back on the market as fast as possible so I did not have to make those payments to those hard money lenders. In some cases we were successful in getting the home sold within 60 days. In other cases we tried for 6-7 months to sell the property, all along making those payments to the hard money lender. One night while I was lying in bed and hoping that someone would not steal those brand new stainless steel appliances we just installed, it hit me. BAM! I’ve got this all wrong! I should be the lender! I realized that the hard money lender did not get their hands dirty, worry about inspections or repairs. All they worried about was that they got the payment check. Actually, I think they were hoping that I would not send the payment and they could foreclose on the deal. I actually thought I was in control of the deal but when you take a step back, the hard money lender was in charge. At that point I realized that I should be the hard money lender! I found out that Deeds of Trust investing is really just being the bank. I knew the business of purchasing, rehabbing and selling. I have lived in Arizona since 1979. I know what real estate costs, and I know how to check on prices in certain neighborhoods. Since I figured I could do as good of a job figuring out who was a good borrower, able to determine the value of property and repairs, how much I was willing to lend on any certain property, then I could go look at a property, and decide if I liked the deal or not. Title insurance and 1st position is the best position for investing. After we fund the Mortgageer we record a ‘Deed of Trust with assignment of rents’ at the Maricopa County Recorder office. We do this to let the world know that there is a lien on the property and the borrowers owes money to the holder of the Deed of Trust. It lets others know that we are in 1st position to get any money if the home is sold either at a traditional sale or at a foreclosure. The question is how do you know that you are actually in 1st position? We’ll there is a guarantee that you are and it is provide by the title company through a ‘lender’s title policy’ paid by the borrower. This insurance policy insures that we are in 1st position, in front of everyone else; expect for the IRS and the County Taxes. If there were IRS liens or back taxes due, the title polity would let you know before you fund the Mortgage. The title report runs a public records check against the name of the borrower and if any liens or judgments show up, then I don’t do the investment We require that the borrower pay the back taxes and any IRS liens before we fund. So what actually is a Deed of Trust and how does it work? Click Here for a detailed explanation. Why would anyone pay high interest rate? Because banks are not lending, and when they do lend it only to the best credit worthy individuals. Also, short term Mortgages less than 24 months are almost hard to find. The bank are use to the 30 year Mortgage and for some reason they cannot move their lips to say 6 months or 24 months. Also, when you typically fund a rehabbing project, the funds need to come fast. In some cases less than 24 hours, and bank don’t even open their door in time to fund a project. Investors have a very hard time getting a Mortgage from a bank. When an investor finds a great deal, and he wants to close quickly, before someone steals the deal from them. The investor goes to a hard money lender and borrowers the money fast. As long as he has 60% to 70% down payment, and decent credit, and a decent property, then the borrower will lend the money close the deal. Before there were banks, this is how we Mortgaged money. When I first researched this investment, I discovered that the wealthy have been privately lending out their money for centuries – before there were banks. It was the way lending was done, and it is still being done today because there are too many borrowers who want to buy real estate who don’t fit into the bank’s rule book. This is especially true if they are investors, or if they are buying a property that needs to be fixed up, or if their credit score is one point too low. During the years since 2004, I have Mortgaged out my money on apartment complexes, office buildings, houses, land, and motels. After a few years, I decided to get my own broker’s license. I figured I could do a better job than the other brokers, as I didn’t like some of the things that they did. The one thing I hated most was that the borrowers would be told one price, and then, when they got to the closing table, they would be charged double. So at my shop we charge one flat fee. The other thing I hated was how late the brokers always were. They didn’t stick to their own timeframes, and the borrower often would scream with frustration because the brokers were not efficient, or courteous, or professional and the borrower would end up missing the deadline. When I got my license, I promised myself I wouldn’t be like that and I’ve tried to live up to that goal in every Deeds of Trust that I place. If it isn’t a win/win/win deal, then I don’t do it. Ethics, honor, and our line in the sand. If you like the sound of these things, then I may be the right Deeds of Trust broker for you. We are an ethical, honorable company. Our investors say their biggest regret is that they didn’t find us sooner. We will let you talk to our investors, we will let you check our record with the Mortgage Lending Division, and we will do our best to be efficient and professional in every aspect of our business. Check us out on the internet, order a book about it, call us, talk to some of our investors – however you need to research it, do it and then try it with a small portion of your investment funds until you see how it works, and until you are comfortable with it. You’ll probably love it as much as I and my investors do. People who get hard money Mortgages don’t make their payments on time. That is absolutely false. Our borrowers have a better ‘on time’ payment record than any bank portfolio’s. Why? Because we are stricter. Our borrowers know that we will foreclose on them in a split second if they are unreasonably late. that their 40% down payment can be wiped out quickly if they are late on their payments. People who get hard money Mortgages have bad credit. Banks don’t lend on properties that are missing plumbing fixtures, or stoves, or air conditioners, (but these types of homes are perfect for rehabbers). Rehabbers don’t usually have all the paperwork a bank needs as they don’t hold a regular job. Borrower is self-employed for less than two years. Borrower changed occupations (but he is still making plenty of money to buy real estate). Even if borrower’s credit score is 1 point below the 640 threshold, the cannot get a conventional Mortgage. The borrower has exceeded the Fannie Mae limit for number of properties owned. This why people calling for money DO NOT have bad credit, they just don’t fit into the ‘conventional’ box. Level 4 Funding Code of Ethics. Complete disclosure of any information to our investors. Since it is your investment and your money, you will have the complete original signed notarized file. We don’t do Fund Pools. Fund Pools serve a useful purpose, and they make Mortgages in the high millions, but that’s not our business. We put individuals into Deeds of Trust, , it is just one investor. If you have a friend or a relative that wants to go on with you, that’s okay. But no STRANGERS! We always first fund the Mortgage ourselves. When we look at the Mortgage we will not fund a Mortgage that we would not want to own ourselves. First we fund with our funds and then look for investors. This is better and it give the investor time to look at the completed funded Mortgage and see the actual recorded documents. We us 3rd party Mortgage servicing. We’re not saying that’s the right way to do it, but it’s our way. We learned it in college accounting classes to keep a separation between those who make the decisions and those who handle the money. We’ve been using the same servicing companies for a long time and the borrower pays all of the fees – there is no charge to you, unless you start the foreclosure and finish through to the end and own the property. We only in the lending business not the rehabbing, flipping or rental business. We are in the lending business not the rehabbing business. No fees at all. The only cost to the investor is the value of the Mortgage. We respond to our phone calls and our emails. We always met the borrowers. Face to face. It’s our rule that we have to shake the borrower’s hand. We may have closed one or two Mortgages long distance, but we still met the borrower the first time he/she came into town. Only lend on properties we like. There are a lot of bad properties being sold. Since we know the market we stay away from those homes that are bad. We always physically inspected the property inside and out. And we attend every signing. Maybe some of these are on the list because we’ve seen other broker’s with practices that we didn’t like, and we wanted to make sure that people knew that we didn’t do business the same way they do. These practices have been developed over years in a very exciting, and yet risky business, and these practices are meant to minimize that risk. We have the lowest foreclosure ratio in the state, and the lowest payment delinquency, and the highest on-time payment record, and we can prove it! To find Deeds of Trust in your area, call a licensed mortgage broker, or do an online search on ‘Deeds of Trust Investments in ‘your city’ and ‘state”. In 2009, federal law changed and made it a violation of law for an individual who is not licensed as a mortgage broker to lend money on residential real estate. Residential real estate is defined as any 1 to 4 unit property: single family residences, duplex, triplex, and fourplex are all residential properties. Make sure that you are dealing with the actual ‘mortgage broker’, not a Mortgage officer who wants to place private money. The owner, who is usually the broker, is the one who makes the final decisions, and who is financially responsible for the Mortgages that are made. You want to be dealing with the person behind the ‘buck stops here’ if you want to get the real answers. When you find a broker, ask for their license numbers (state and national). Verify that the license is valid by checking the National Mortgage Licensing System and the state licensing system. Check the state database for complaints, or legal actions taken against the company. Investigate the broker by asking for references: from their investors, their vendors, their employees and their borrowers. If they are honorable, they will give you names and phone numbers that you can verify. And if that company tells you that they can’t give you references because they will be violating privacy laws, then don’t invest with them. Every broker should have customers and investors willing to speak with you about their interaction with their Deeds of Trust broker. When you call the references, ask for the property address that was Mortgageed on and then follow the instructions in the next section to verify the data. Next, verify if the references told you the truth, or if they were just people paid by the company to say good things. Want to know the easy way to do that? Ask for an address of a transaction that the reference was involved in and then go to your county’s assessor records and recorder’s office records and verify that a Deeds of Trust was placed on the property. Look at what liens were filed before the Deeds of Trust was recorded and what liens came after, and ask questions if you can’t figure it out. The biggest scams in Deeds of Trust lending came from brokers selling the same Deeds of Trust over and over again, and not recording the Deeds of Trust with the recorder’s office. What services does Deeds of Trust broker need to provide? Smart Deeds of Trust brokers always pull credit reports on borrowers, and are able to relay that information to the investor. We provide the credit score page to the investors, and an explanation of the derogatory items on the credit report. We do not allow the investors to download the entire credit report due to the FACTA Act, and the Red Flag Rules. To explain further, because it could be possible for a member of the investor’s family, or a friend, to find the credit report and use it to commit identity theft, the investor could be subject to legal proceedings. Therefore, if an investor wants to see the credit report, he is invited to our office to read the credit report. The broker should also verify the borrower’s ‘ability to repay’ on all residential Mortgages. To do this, the broker should collect from the borrower tax return(s), pay stub(s), bank statements(s), pictures of the cash for the down payment if the funds are not in the bank, and any other proof that the borrower has enough money to purchase the property, fix up the property, and make the monthly payments, as well as pay off the principal balance in the allotted timeframe. Next, the broker should provide to the borrower ALL of the disclosures required by law. There are approximately 20 pages of forms that every borrower must receive, as well as a 5 page Mortgage application, the good faith estimate, and the truth in lending. With the first Deeds of Trust that you do with a broker, you should verify that these forms have been filled out and signed, by looking at the actual file. Those are some of the highlights on how to investigate before you invest, but there is a lot more to share. If you would like more information, sign up for our newsletters so that you can get additional information contact us. There are three parties to this type of title. They are the Trustor (Borrower), Beneficiary (Lender) and a neutral 3rd part called the Trustee. The borrower owns the property, but the title is held by the trustee. The borrower makes the payments to the lender not the trustee. If the borrower defaults and does not pay the Mortgage, the lender tells the trustee (to take the deed out of the top drawer) to sell the home. It’s the trustee who sells the home not the lender. When the trustee sells the home at a trustee sale and gets the money, the trustee gives the money to the lender. The trustee sells the home by foreclosure process. The important part is that the trustee holds the title AND there is no court of law involved. This is called a non judicial foreclosure. No court, attorney, judge, jury needed. With a “power of sale” clause, the borrower has authorized the trustee to conduct a non judicial foreclosure in the event of default. The trustee just does it and when completed the new owner receive a Trustee Deed. Foreclosure can start 1 day after the borrower is late and the borrower has only 90 days to make the back payments, make the Mortgage current and pay any fees for foreclosure or late fees. At day 91 the home can be sold at foreclosure and the ownership is transferred and the original owner is out. Another problem for the borrower is if there is a deficiency this is called a taxable event. What this means is that the deficiency is considered income to the borrower and the borrower has to declare this as income on their income tax return. For example if the original amount owned was $100,000 and the home sold at foreclosure auction for $75,000, there is a deficiency (gap) of $25,000. The lender cannot sue for this amount they lost. We are a non deficiency state. However the US Government does not care and will want you to declare this as income on your tax return. (At the time of this writing, in most cases the US Government is not requiring this, but his can change). A deed of trust is normally recorded with the recorder or county clerk for the county where the property is located as evidence of and security for the debt. The act of recording provides constructive notice to the world that the property has been encumbered. When the debt is fully paid; the beneficiary (lender) is required by law to promptly direct the trustee to transfer the property back to the trustor (lender) by reconveyance, a Deed of Reconveyance, thus releasing the security for the debt. Deeds of trust differ from mortgages in that deeds of trust always involve at least three parties, where the third party (trustee) holds the legal title, while in the context of mortgages, the mortgagor (borrower) gives legal title directly to the mortgagee (lender) In either case, equitable title remains with the borrower. Foreclosure on a mortgage is a judicial procedure (court of law) and is seldom used in Arizona. Deeds of trust are the most common instrument used in the financing of real estate purchases in Alaska , Arizona, Arkansas, California, Colorado, the District of Columbia, Idaho, Maryland, Mississippi, Missouri, Montana, Nebraska, Nevada, North Carolina, Oregon, Tennessee, Texas, Utah, Virginia, Washington, and West Virginia, whereas most other states use mortgages. Deeds of trust are subject to the rule “first in time, first in right,” meaning that the beneficiary of the first recorded deed of trust may foreclose and wipe out all junior deeds of trust recorded later in time. If this happens, the junior debt still exists, but becomes unsecured. If the debtor has sufficient senior secured claims upon his assets, the junior liens may be wiped out completely in bankruptcy.